The media is quick to point fingers as to who or what is to blame for causing this drastic price decline. When you look at both domestic and international factors it is challenging to figure out where to even start! Is OPEC (Organization of Petroleum Exporting Countries), ‘fracking’, shale production, simple supply/demand imbalances, global economies or countless other factors to blame? Our answer might actually surprise you… it doesn’t matter! Even if you knew what was causing this volatility, would it make the situation you currently find yourself in any better? This is the perfect example of a time when listening to the financial media will not help you or your decision-making; especially if you have too much exposure in the energy sector. 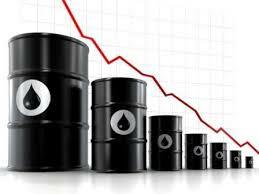 While the price of oil is dominating headlines currently you don’t have to look far to remember other corrections and how the various sectors were impacted. While all stocks were hit during the 2008 correction, Financial stocks led the decline just as Technology was decimated during the Tech Bubble of 2001 and 2002. People often forget that the tech sector made up almost 30% of the S&P 500 before the bubble burst in 2000. 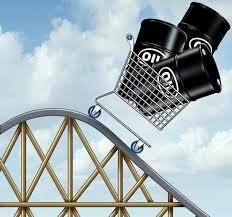 Conversely, the price of oil nearly tripled from $50 to $147 in early 2007 to 2008. While the story and economic environment is different in each time frame, one thing is consistent…Mr. Market will throw a curveball at investors when they least expect it. Monitor your entire portfolio and be aware of any overlap or duplication in different accounts. Look at taxable, IRA’s and company retirement plans. Diversify – consider the breakdown of the S&P 500 that we shared earlier. Concentrated positions – don’t fall in love with a stock or sector as it can turn on you quickly. Monitor any employer stock positions or ‘drip’ positions that you systematically purchase. Take profits and trim positions…profits that are only on paper do nothing for you. If you are struggling with your portfolio or a specific position and would appreciate another set of eyes to take a look and give an honest unbiased opinion we would encourage you to contact us. Don’t allow Mr. Market to have his way with your investments and emotions during volatile times like we are currently in. This entry was posted in Diversification, Energy Sector, Investing, Oil and tagged Asset allocation, Investing, Stock Market by Matt@DearMrMarket.com. Bookmark the permalink.